At 5:05 p.m. or so, it snowed. Very wet snow, or perhaps sleet. 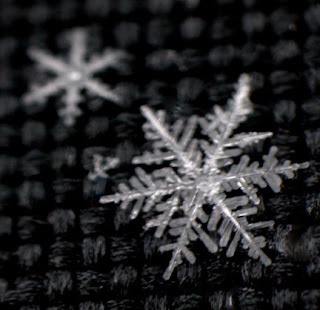 Photo: a snowflake, in New Mexico, not Kentucky. Courtesy NOAA NWS Forecast Office, Albuquerque, NM.